Get to be a judge for a day! Get to taste the best tasting food, get to know the best chefs, get to mingle with fellow foodies and food bloggers, and what else? You get a lot of freebies! 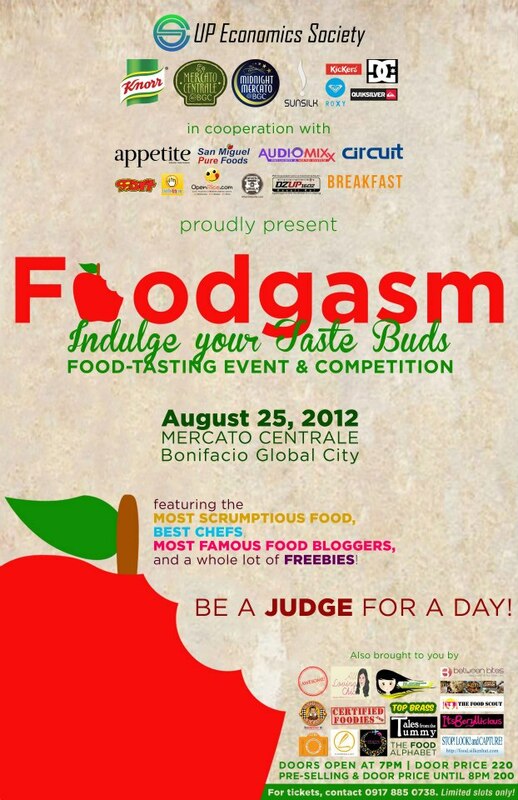 The Food Alphabet will be there! So will I see you then? Tickets at P220. Pre-selling and door price until 8PM is only P200! So what is Foodgasm? Click on the video to find out more!